Indicast is the “flagship” podcast show on the Indicast Network and is the longest running Indian podcast on the internet. 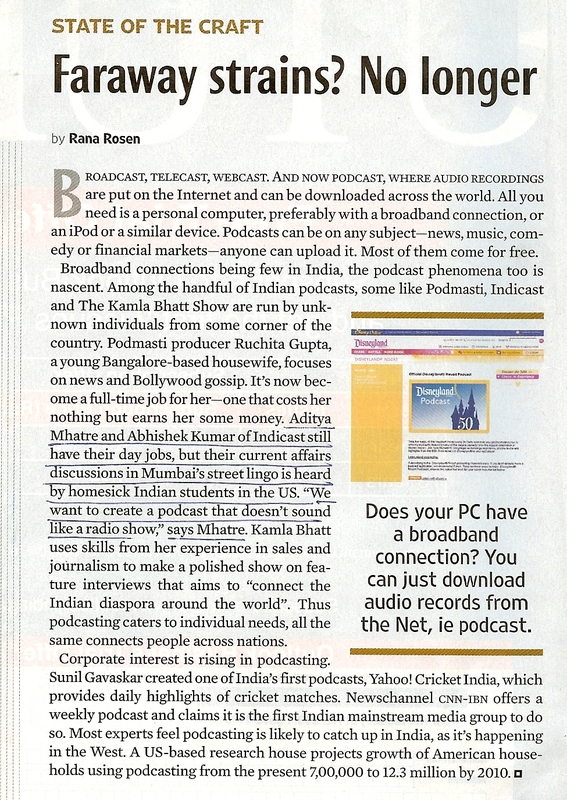 The show is hosted by the Aditya Mhatre and Abhishek Kumar, the co-founders of Indicast Podcast Network. Indicast is a highly opinionated, and fast paced show covering the major current affairs news from India. Aditya and Abhishek frequently tend to digress from the topic at hand which leads to unrehearsed and fun conversations. Whenever friends ask us what Indicast is all about? In just one sentence, we say , its everything from Sonia to Sania. Indicast is the most popular Indian podcast and has the largest subscribers within the Indicast Podcast Network. Check out the complete list of The Indicast Show episodes.